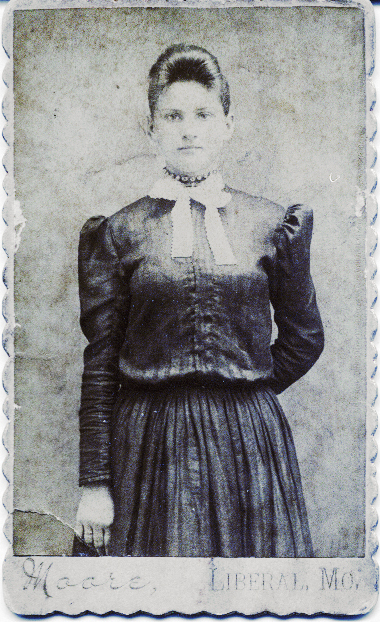 Elizabeth Jane “Bettie” Brewer was born 1877 in Liberal, Barton, Missouri to David Nathaniel Brewer and Delana L. Jane Fowler. 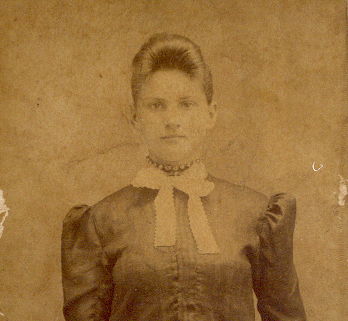 In 1895, she married Ray Noyes, son of James Allen Noyes and Caroline Atwell. The picture would have been taken in 1891 at Moore studio in Liberal. Another studio operating at about that time and later was the Fritts photo studio.